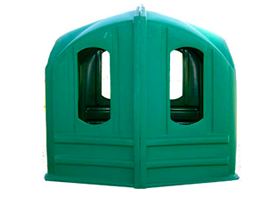 Hay enclosure to protect your hay and save! Enclosing your hay with a Hay Hut allows it to be protected from weather and the horses over eating. This waste from horses destroying the bale is enormous!